NOTE: This review is part of a series entitled "Measuring Fitness." Here, I will discuss aerobic capacity. Some of the following information is a bit scientific but, after reading this article, you'll know (a) why aerobic fitness is just as important for health as it is for sports performance, and (b) how you can measure it. If you were asked to define "fitness," would the muscle-bound guy at the gym come to mind? It turns out that "body composition" is only 1 element that is considered when evaluating fitness. In addition to those 5, I propose that "balance" also be included in assessing a person's fitness. Balance can be improved with specific exercises, and, becomes much more important to a person's health as they age. This topic is discussed in "Balance: An Overlooked Aspect of Fitness?" So, while the muscle-bound guy described above might achieve high marks in terms of body composition or muscular strength, it's entirely possible he might have limited flexibility or poor aerobic fitness. What is cardiopulmonary capacity? 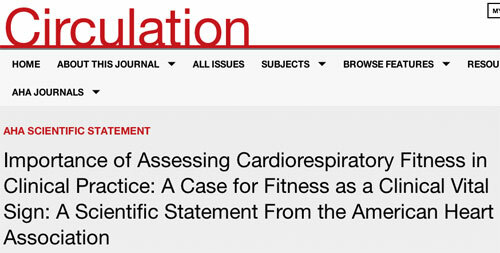 Cardiopulmonary capacity and aerobic fitness are essentially synonymous. In very simple terms, this aspect of physiology reflects oxygen usage during exercise. In the average person with no lung disease, no matter how hard you are exercising, the lungs are not the rate-limiting step in getting oxygen delivered to the tissues (Hsia CCW, et al. 1998) (Sutton JR, 1992). Rather, it is the heart that has the most dramatic effect on oxygen delivery. Exercise physiologists evaluate aerobic capacity in terms of how much oxygen you use when you're exercising. This is called oxygen "uptake." It's reported as milliliters of oxygen per kilogram of body weight per minute, which is abbreviated "ml O2/kg/min." When you exercise, your cells need an increased supply of oxygen. Oxygen uptake, designated by the abbreviation "VO2," is a measurement of how well the respiratory and circulatory systems deliver oxygen to the tissues. The rate of oxygen uptake during maximum exercise intensity is called "VO2max," a term that is well-known to elite endurance athletes. Interestingly, the highest VO2max measured in a female athlete also belongs to a cross-country skier: 80 ml/kg/min (Warpeha JM. 2005). One possible explanation for why a cross-country skier has a higher VO2max than a cyclist or a runner is because the skier is working all 4 extremities (ie., more total muscle mass), whereas during running, and especially cycling, the arms are moving very little. No doubt, these athletes demonstrate absolutely stellar values. But even these world-class athletes are humbled by values measured in thoroughbred race horses which can be 160-180 ml/kg/min and Siberian sled dogs which can be 240 ml/kg/min! The average "weekend warrior" probably has a VO2max value in the 40's. The May 2004 issue of Men's Health magazine listed fitness stats for "the average guy" (sorry, no data were provided for women....). The average VO2max value in a group of males ages 18-24 was 42 ml/kg/min. These people have such poor aerobic fitness that they can't run even a single lap around a high school track! • Five healthy men in their 20's were put to bed for 3 weeks. Their VO2max decreased during this period from 43 to 31 ml/kg/min. That's a 28% drop! Then, after 2 months of training (walking, jogging), a repeat VO2max of 51 ml/kg/min was determined. Thirty years later, when these same men were 50 years old, their VO2max value was again down to 31 ml/kg/min (Saltin B. 2002). The conclusion here is that 3 weeks of sedentary behavior causes the same reduction in aerobic fitness as does 30 years of aging! • A 49-yr old female cyclist was sidelined when she broke her collarbone. Her VO2max declined from 56 ml/kg/min to 42 ml/kg/min (a 26% decrease) over a period of 32 days of rest. Eleven weeks of training brought it back up to pre-injury levels (Nichols JF, et al. 2000). Thus, while you can't do anything about aging, you can certainly choose to exercise regularly! Dr. Steven Blair, a professor at the University of South Carolina and a leading researcher on the relationship of aerobic fitness to health, reported that low "cardiorespiratory fitness" is a greater risk factor for cardiovascular mortality than any of the more traditional risk factors that our medical profession typically focuses on (eg., obesity, hypertension, diabetes, high cholesterol, smoking). The graph below is from Dr. Blair's paper published in the British Journal of Sports Medicine (Blair SN. 2009). It summarizes data from more than 53,000 patients evaluated at the Cooper Clinic in Dallas. These patients were followed for an average of 16 years. Then, researchers evaluated their pre-existing health risks and the cause of death in those who died. In other words, a low degree of aerobic fitness was a large determinant in why these people died. Hopefully, that got your attention. While the medical profession is focused on getting your cholesterol under control, you have the ability to reduce your risk of cardiovascular events to a greater degree simply by improving your aerobic fitness! VO2max testing is typically conducted in a laboratory setting, though, some health clubs are starting to offer this service to their members. The athlete's inhalations and exhalations are carefully measured during a treadmill run, or while riding an exercise bike. On a treadmill, the incline is methodically increased and the athlete runs until exhausted. On a specially-designed exercise bike, resistance is applied to the wheel in gradually increasing loads. When I was 38 years old, I had my VO2max assessed at the University of Florida, where I worked. It was 52 ml/kg/min, which put me in the "Excellent" category for my age group. At that point in my life, I was playing a lot of tennis, and running and biking regularly. I repeated the test when I was 51 years old: I had my VO2max and lactate threshold measured at the Human Performance Lab at the National Training Center in Clermont, Florida (www.USANTC.com). My VO2max had dropped to 42 ml/kg/min. This value put me in the "Good" category for my age group. I was older, and I hadn't been exercising as hard. Both the VO2max test and the lactate threshold test require running on a treadmill to exhaustion. For both, I had to wear a nose clip and breathe through a snorkel. To communicate, you can only use hand signals. Next, I began another treadmill run for the VO2max test. This time, the incline was increased and the speed was kept constant. Every 2 minutes, the technician would ask me how I was doing and I would point to a Borg scale. But, he knows from experience and by watching my heart rate when the end is near. And, unlike the LT test which can last 30 minutes (or longer, depending on your level of aerobic fitness), this one didn't take long; you reach maximum effort pretty quickly when the incline is increased. Data from these 2 tests are used to determine specific ranges of exercise intensity (eg., recovery, endurance, and intervals). Coaches and athletes can then design a training program from them. The testing is very interesting, though it's not the most enjoyable experience I've ever had. But, I can repeat the tests from time to time to see how much they have changed. Some health clubs now offer VO2 testing. KORR Medical Technologies (www.KORR.com) produces a machine that some gyms utilize. You simply run on a treadmill while wearing a face mask. Their web site has a Search function so you can locate gyms that offer this service. A procedure using a rowing machine also exists. Concept-2 is the manufacturer of a rowing machine. They have developed a method for estimating your VO2max value using their rowing machine. The interactive web site is available at: www.Concept2.com. What if you don't want to endure a testing process like I went through.....assuming a facility that does this type of testing is even available to you? Now that you've got your value, how do you rank compared to your peers? Odds are, you will never match the VO2max values seen in elite athletes like Olympic marathon runners or Tour de France cyclists. Even more demoralizing is the fact that, in general, aerobic capacity in adults begins its steady decline after about age 20. 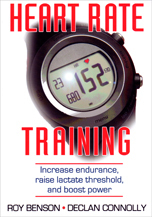 According to Jack Wilmore, PhD, aerobic training can increase VO2max values by 15-25% (Wilmore J. 2003). As a person improves from sedentary to active to very fit, the VO2 value will rise from the 30's to the 50's, but, as you now know, can be as high as 75-85 ml/kg/min in elite athletes such as cross-country skiers, distance runners, cyclists, and triathletes. The most important principle to keep in mind if you want to improve your VO2max is exercise intensity not exercise duration. For people who are terribly out of shape, simply walking at a brisk pace while swinging your arms will be enough to improve aerobic capacity. In one study, patients with coronary heart disease (average age 61 yrs) improved their VO2max by 17% after completing 36 sessions of aerobic training over a period of 3 months (Ades PA, et al. 2006). In another study, patients with coronary heart disease improved their VO2max 16% by walking on a treadmill. Note that these people were in very poor aerobic condition and walking was enough to push their exercise HR up to 85-95% of their maximum (Karlsen T, et al. 2008). However, those who are already in "decent" shape (aerobically) will need to do something more strenuous than walking. The important detail here is to push your heart rate up quite a bit when you exercise. .....But, a sustained (ie., continuous) exercise session at a high intensity isn't always mandatory. That's where "interval" training comes in. Plenty of research shows that short "bursts" of effort can very effectively improve aerobic capacity. This topic is reviewed thoroughly in: "Interval Training". And it doesn't matter what your age is: if you are out of shape, you can improve your aerobic fitness (Woo SJ, et al. 2006). Frenchman Robert Marchand proved this: At age 101, his aerobic capacity was measured on an exercise bike. Then, he trained for 2 years. During 80% of each session, he rode at a leisurely pace. During 20% of the session, he pushed up his intensity. After 2 years, his VO2max had increased by 13%! (Billat V, et al. 2017). Aerobic capacity is a critically important health parameter. Every single person should know their aerobic capacity, just like they know their blood pressure and cholesterol levels. So does that mean that everyone should undergo a maximum effort VO2max test regularly? No. It turns out that your heart rate is also a very useful indicator of your level of aerobic fitness. With regular aerobic training (if vigorous enough), the heart responds by increasing the amount of blood ejected during each contraction. The muscles also improve their ability to capture oxygen from the blood. These adaptations are critical because, during vigorous exercise, your cells need more oxygen, yet the heart is shooting blood around the system at twice the resting rate. Think about it: It's sort of like if the subway trains in New York City spent less time at the station during rush hour. Allowing less time for more people to get off the train is counter-productive. Obviously, something has to adapt otherwise oxygen delivery to the tissues during intense exercise would drop, not increase. The body's response is to increase the heart's stroke volume, and expand the microscopic circulation in the muscles (Wilmore JH, et al. 2001). A measurable reflection of these cardiovascular changes is a slower resting heart rate. In an aerobically fit person, the circulatory system is much more efficient at delivering oxygen, so the heart doesn't have to work as hard. 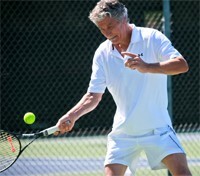 Several decades ago, the professional athlete who was widely regarded to be aerobically "super-fit" was tennis player Bjorn Borg. I have never seen a report of his VO2max, but it was often claimed that his resting HR was less than 40 beats per minute. So, in the absence of cardiac disease or certain medications, a slow resting HR indicates a highly efficient -- and healthy -- cardiovascular system. • In one study of middle-aged men with no evidence of cardiovascular disease, a resting heart rate of 75 beats per minute or higher had 3.5 times the risk of sudden death compared to men with resting heart rates of less than 60 (Jouven X, et al. 2005). Thus, monitoring resting heart rate reveals 2 sides of the same coin: an elevated resting HR suggests worse cardiovascular health while a slower resting HR is seen in aerobically-fit people. 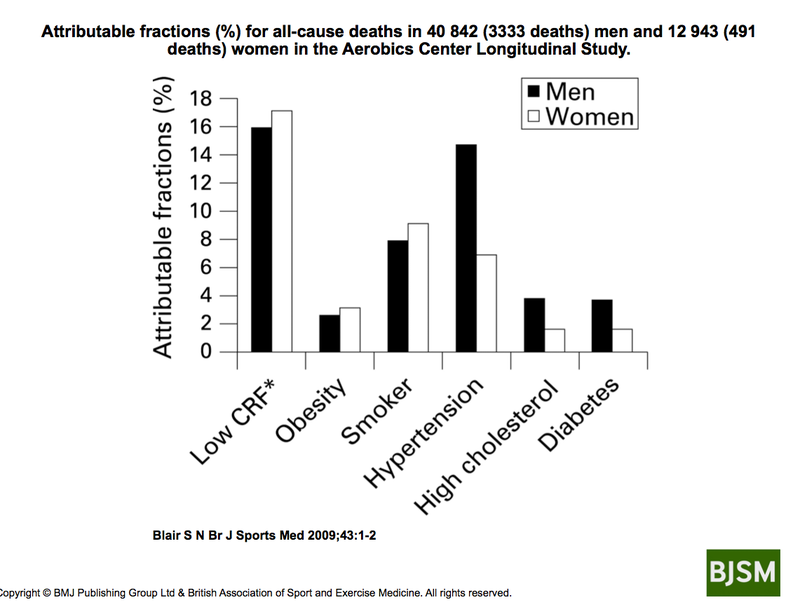 And, according to Dr. Steven Blair, aerobic fitness is the most important indicator of your risk of cardiovascular events. (Blair SN. 2009). Monitoring how quickly your heart rate slows down after exercise ends is another way to evaluate aerobic fitness. • Researchers at the Cleveland Clinic exercised patients on a treadmill, then measured their heart rate 1 minute after running stopped and compared it to their peak heart rate. The failure of heart rate to fall rapidly after exercise stopped was associated with increased overall mortality (Cole CR, et al. 1999). • A similar result was seen in a study from France. Cardiologists exercised patients on a stationary bike for 10 minutes, then measured their heart rate 1 minute after cycling stopped and compared it to their peak heart rate. Patients with the poorest recovery had 2.1 times the risk of sudden death compared to patients with the best recovery (Jouven X, et al. 2005). Thus, your heart rate -- specifically, "resting" HR and "recovery" HR -- is not only an excellent indicator of aerobic fitness, but is an important health parameter as well. These concepts are explained in greater detail in the excellent book "Heart Rate Training" by Benson and Connolly (see below). At this point, it is important to clarify that, while post-exercise (recovery) HR provides a crude indication of fitness, monitoring heart rate and respiratory rate during exercise does not. Assessing these cardiovascular parameters during exercise only shows how hard a person is working right at that moment. Note that if 2 people push their heart rate up to 175 beats per minute when they exercise, this does not mean they have the same fitness level. If an aerobically fit person and an unfit person are jogging together at the same pace, the HR of the unfit person will be a lot higher than that of the aerobically fit person. Or, stated another way: An aerobically-fit person has to exercise a lot harder to attain a HR of, say, 170 compared to a person who is unfit. In fact, a trained athlete may have a HR of only 140 while running at a brisk pace of 10 mph, while an unfit person may send his/her HR up to 170 or higher while only running at 5 mph. Another variable to consider is that a heart rate value measured while running represents a different level of oxygen consumption than the same heart rate that occurs while doing other forms of exercise. This shows why simply measuring exercise HR does not indicate your level of fitness. This concept is important because many weekend-warriors are familiar with the term "target heart rate." Target HR is used to determine exercise intensity. The average person can also assess their exercise intensity with the "talk test" (ie., if you are breathing too fast to talk, then you are exercising too hard for your current level of fitness) (Persinger R, et al. 2004). So, remember: the heart rate and respiratory rate you attain during an exercise session only tells you how hard you are exercising; not your level of aerobic fitness. • Aerobic capacity and health: Of the 5 elements of fitness, aerobic capacity has the biggest impact on your health. Low "cardiorespiratory fitness" (CRF) has been shown to be a much bigger risk of cardiovascular death than a high cholesterol level (Blair SN. 2009) (Farrell SW, et al. 2012). • Measuring aerobic fitness: Your VO2max value provides the most accurate assessment of aerobic fitness. The truest measurement of VO2max is done in a lab, however, it can be estimated. Healthy, fit adults can perform the Cooper 1.5-mile running test and out-of-shape adults can perform the Rockport 1-mile walking test. Seniors should perform the 6-minute walking test. 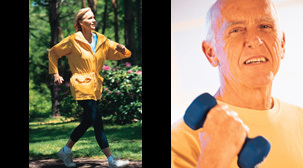 • Improving aerobic fitness: Any out-of-shape person at any age can improve their aerobic fitness. Regular aerobic exercise (if vigorous enough) will improve your cardiovascular fitness. The key to improving your aerobic fitness is how HARD you exercise, not how LONG you exercise. Use your exercise HR and the "talk test" to monitor how hard you are exercising. • Exercise type: Yoga and Tai Chi do not improve your aerobic fitness much because they don't challenge the cardiovascular system enough. Also, strength training is not as good as aerobic forms of exercise. • Monitoring aerobic fitness: Your true resting heart rate is a very good way to monitor both your aerobic fitness, and, the health of your cardiovascular system. A resting HR below 70 suggests your vascular system is healthy. A resting HR of 75 or higher is cause for concern. Your recovery HR is also helpful to monitor the health of your cardiovascular system. Consider buying a heart rate monitor. For many people, aerobic fitness could be the single most important health parameter. Thus, everyone should learn how to assess it and improve it. By monitoring resting HR and by performing a simple walking or running test, most, if not all, adults can assess their own level of aerobic fitness. Although general health benefits (eg., a reduction in risk of heart attack and stroke) occur with low-intensity exercise (such as brisk walking), an improvement in aerobic fitness requires a higher level of exertion for some people. Q: What is the optimum resting heart rate in an adult? ANSWER: Medical students have traditionally been taught that a "normal" resting heart rate in an adult is 60-90 beats per minute. However, substantial research now exists showing that when resting HR is above 75-85, health outcomes are worse. Further, in a healthy, aerobically-fit adult who is not taking drugs that affect heart rate (eg., beta-blockers, verapamil, diltiazem, digitalis glycosides) and does not have problems with the conduction pathway of the heart, a resting HR less than 60 is quite common. Thus, a resting HR this low should no longer be considered abnormal. In an otherwise healthy adult, a resting HR range of 40-70 should be regarded as the new norm. Q: Will an athlete with a higher VO2max always beat an athlete with a lower value in a race? ANSWER: No. VO2max is a measurement of physiology, not athletic performance. Two athletes may have the same VO2max, but victory goes to the athlete who can sustain a more intense effort for a longer period of time. For example, Alberto Salazar was reportedly able to run at a higher percentage of his max, and hold that pace, longer than runners with a higher VO2max value. Frank Shorter won the marathon at the 1972 Olympics. His VO2max was "only" 71 ml/kg/min, but it was determined that he maintained a running pace of 80% of his VO2max. Very impressive. Q: Can the Cooper 1.5-mile running test or the Rockport 1-mile walking test be performed on a treadmill? ANSWER: No. Running or walking on a treadmill requires a lot less effort than running or walking on the road or a track. Also, a treadmill may not be calibrated correctly and thus, you may not actually run the correct distance. Q: What about these wrist-watch-like devices that measure VO2max? Do they work? Are they accurate? a) run exactly 1.5 miles on a level surface as hard as you can. Compare your results to the tables above. a) walk 1 mile on a level surface as quickly as you can. b) record your elapsed time and your heart rate at the end of the mile walk. If male, add 6.315 to this value. Do not perform these tests on a treadmill. Treadmill running requires less physical effort than running on a road or track. Also, a treadmill may not be calibrated properly; you may not run the correct distance. Time your run or walk precisely to the second....ie., do not round-off your time to the nearest minute. Then, convert the number of seconds into a decimal. For example, if your final time was 11 minutes and 20 seconds, you would insert "11.3" into the equation. This test requires continuous walking around a rectangular course that measures 20 yards by 5 yards. One lap around this rectangle is 50 yards. • To improve your health: In 2011, the American College of Sports Medicine (ACSM) published the Complete Guide to Fitness & Health. It's very thorough and scientifically-based. • To improve your aerobic fitness: The best book I have read on using your exercise heart rate as a guide to your training program is Heart Rate Training by Benson and Connolly. If you are interested in heart rate monitors by Polar, check out: www.PolarUSA.com. Balance: An Overlook Element of Fitness? Franks BD, Howley ET, Iyriboz Y. The Health Fitness Handbook. 1999, Chapter 7: Muscular Strength and Endurance, Human Kinetics Publishers, Champaign, IL.